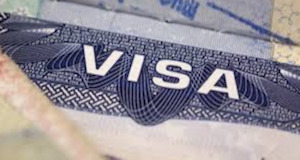 Q: I Would Like to Extend my non Immigrant Visa in the United States, What Steps Would I Need to Take in Order to do This? The individual submitted the extension application before the expiration of their I-94 (note that in some limited circumstances this may be excused. See below for more information). Who is not Eligible to Extend Their Non-Immigrant Status? How Do I Apply to Extend my Non-Immigrant Status? How Long Does the Extension Process Take? An individual should apply up to 6 months before their I-94 expires but no latter than 60 days prior to the expiration date of their I-94. Processing times vary. Visit USCIS website for current processing times. The mere fact that an individual applies on time for an extension does not mean that their extension of stay is automatic. USCIS will examine each application and make a determination on granting the individual’s application. Also, if the application and extension is granted USCIS will decide for how long the extension will be granted. What Do I Do if my Status has Already Expired? If an individual has fallen out of status and their I-94 has expired, then the USCIS may not extended the individual’s stay in the United stats in certain limited instances related to circumstance beyond the individual’s control. USCIS may make exceptions to this rule. Remember, it is always important that you are mindful of the expiration date of your visa. What Happens if I File Before my Status Expires and a Decision is Made After my Status Expires? If the USCIS received your application before your status expires, if you have not violated the terms of your status, and you meet the basic eligibility requirements, then you may continue your previously approved activities in the U.S., including previously authorized work, for a period of up to 240 days, until the USCIS makes a decision on your application or until the reason for your requested extension has been accomplished, whichever comes first. Once your original nonimmigrant status expires, even though you generally will be allowed to remain in the United States while your extension of stay application is pending. you will not be deemed to be in any non-immigrant status until such time as the USCIS may approve your extension of stay. Remember: Staying in the United States when you are out of status may effect your ability to return to United States at a later date or eligibility for other Immigration benefits. So be very careful and mindful of your lawful status and the dates concerning your stay in the United States.